The 2017 RRSP contribution limit is 18% of your 2016 earned income to a maximum of $26,010. (For those who have not topped up every year, this is the additional room now available.) Earned income includes self-employed net income, net income from a partnership, payments from supplementary unemployment benefit plans, CPP/QPP disability payments, salary, wages, taxable alimony or maintenance received, royalty and net research grants and net rental income. Passive income such as investment income, taxable capital gains, death benefits and limited partnership income is not included within the calculation. Losses from a self-employed business or partnership must be used to reduce earned income. If net rental losses are available, earned income is reduced accordingly. Any deductible alimony or maintenance payments also reduce earned income for the purpose of calculating your RRSP contribution limit. Your RRSP contribution level is further reduced by the pension adjustment which is any amounts you earn as part of your employer’s Registered Pension Plan or Deferred Profit Sharing Plan. The pension adjustment was created by the Canada Revenue Agency to equalize the rates at which persons with and without employee plans can contribute annually to their retirement savings. When considering your 2017 RRSP contributions, you should subtract an amount contributed under a company pension plan. For example, if your earned income is $100,000 and your company contributed $7,000 to your RRSP, your contribution should not exceed $11,000 (i.e., $18,000 – $7,000). In a defined contribution benefit plan (i.e., one in which the employee’s contribution is matched by the employer), the employee and employer might each contribute $1,500 for a pension adjustment of $3,000. The maximum personal contribution limit could thus not exceed $23,010 ($26,010 – $3,000), assuming of course there were no carry forwards from previous years. Estimating the pension adjustment for a defined benefit plan can be based upon a flat benefit, a career average benefit or final or best averages benefit. As such, it is best to speak to the payroll department to determine the pension adjustment in order to avoid over contribution which can result in penalties from the CRA. There is no minimum age to establish an RRSP. If, for instance, a 10-year-old earned $50,000 from royalties, the maximum RRSP contribution would be $9,000 (i.e., 18% of $50,000). Unfortunately, a child under the age of 18 is a minor and cannot be bound by a contract, nor can the parent or guardian register one on their behalf. However, since the child’s filed tax returns would indicate the eligible RRSP contribution amount created by the $50,000, that amount can be carried forward and used after the age of majority (i.e., age 18) has been reached. RRSP-eligible investments held in a non-registered fund can be transferred into your RRSP. This in-kind transfer may trigger a taxable capital gain in the year of the transfer calculated as the difference between the adjusted cost base and the deemed selling price (i.e., the fair market value at the date of the transfer). However, if the deemed sale price was below the original cost, the capital loss cannot be claimed. Interest accrued (i.e., interest earned but not received) up to the date of the in-kind transfer must be included in the taxpayer’s income. Avoid overcontributing and you avoid penalties. The CRA allows a buffer of $2,000 of overcontribution but going beyond that amount results in a penalty of 1% each month on the excess amount. To avoid overcontributing, review either your Notice of Reassessment or go online to your CRA account and review your contribution level. Relying on your RRSP investment agent or your 2016 tax return for your eligible contribution may not always be right because they may not reflect changes made to prior years’ income tax filings that will impact the carry-forward figures. You should also estimate your pension adjustment and subtract the adjustment accordingly from your eligible amount. RRSP contributions can be any time in the current year or up to the end of the first 60 days of the following year (adjusted for leap years and when the sixtieth day falls on a weekend). Contributions can be made in one lump sum or piecemeal throughout the year with payroll deductions or payment from personal accounts. You may register as many RRSPs as you want and contribute to all as long as the total yearly contributions do not exceed your allowed maximum. Accrued uncontributed amounts from previous years can be added to your RRSP at any time. If you are over the age of 71, you can still make contributions to a spousal RRSP if the spouse or common-law partner is not over 71 and you have earned income in the year of contribution. 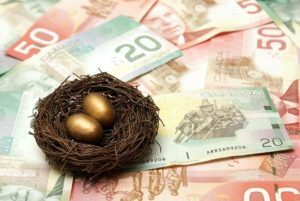 It should be noted, however, that should the spouse withdraw the contribution made to the spousal RRSP in the year of contribution, then the contributor will be taxed as if the funds had been withdrawn by the contributor. This attribution rule applies not only to the year of contribution, but also to the two years following the contribution. Individuals can withdraw up to $25,000 from their RRSP tax free for a home purchase. The withdrawal rule applies to both spouses and common-law partners. However, the amount must be paid back to the RRSP over the 15 years following the withdrawal. If the yearly amount is not replaced, the amount will be added to the taxable income in that year. If you or your spouse (or common-law partner) have owned a principal residence in the five years immediately prior to the year of withdrawal, the withdrawal rules may not apply. It is best to check with your chartered professional accountant to ensure compliance with the rules governing withdrawals. The deadline for 2017 RRSP contributions is March 1, 2018. Now is the time to review your RRSP contribution room along with your estimated earned income for the 2017 calendar year. A review now will enable you to complete some tax planning, build your savings for the future and reduce your tax liability for 2017.